July 12, 2018 – MIE is pleased to welcome Professor Patrick Lee to the department. 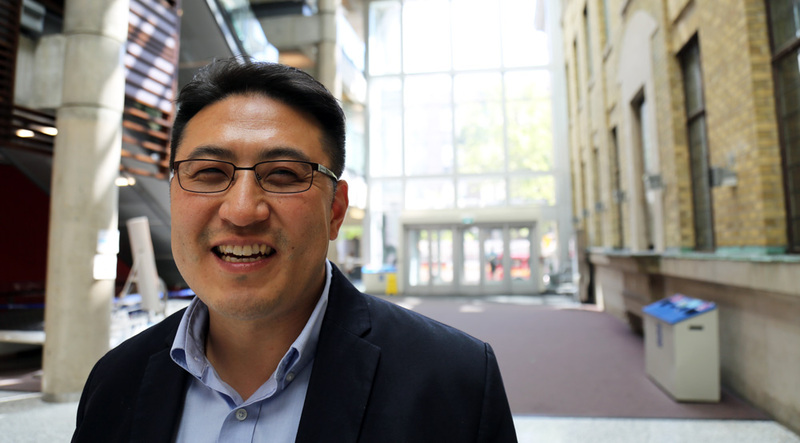 Since completing his PhD at U of T in 2006, Professor Lee has pursued postdoctoral study at the University of Minnesota, was a leading research scientist at The Dow Chemical Company, and more recently, was Assistant Professor at the University of Vermont starting in 2014. This year, he received the National Science Foundation Early Faculty Career Development Award as well as the PPS Morand Lambla award. Tell us about your research in a nutshell. My research is about understanding the process-structure-property relations of multiphase nano-structured lightweight and smart hybrid polymer foam materials, which have a variety of applications in the automotive, aerospace, biomedical, energy storage, electronic device, and food and electronics packaging industries. I am looking forward to interacting with many colleagues, staff, and students from diverse backgrounds. I love to get to know new people and learn their wisdom and culture. What were your reasons for choosing U of T? I am a U of T alumnus and MIE is simply the best in the world with brilliant professors, bright students, and welcoming staff! What’s your fondest memory of MIE during your time as a student? My interaction with other graduate students. We spent countless evenings together working on various projects. We watched the World Cup together, cheering on different teams. Now we are scattered around the whole world but we still interact from time to time and have lunch or dinner when I visit them, wherever they may be. Do you have any study or life tips for students when September rolls around? Explore something new this semester. Meet three new students you haven’t really interacted with before. Get to know profs you haven’t taken courses from. Say “hello” when you bump into me in the hallway! Read Professor Lee’s full biosketch here.